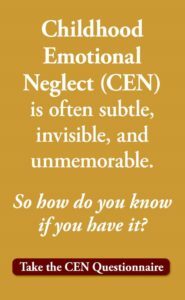 To learn more about CEN, how it can contribute to suicidal thoughts and feelings, and how to heal from it, Take The Childhood Emotional Neglect Questionnaire. It’s free. 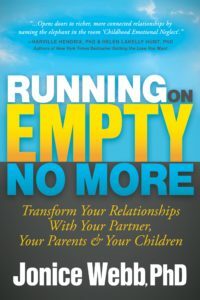 I have gained so much insight since reading your book Running on Empty. 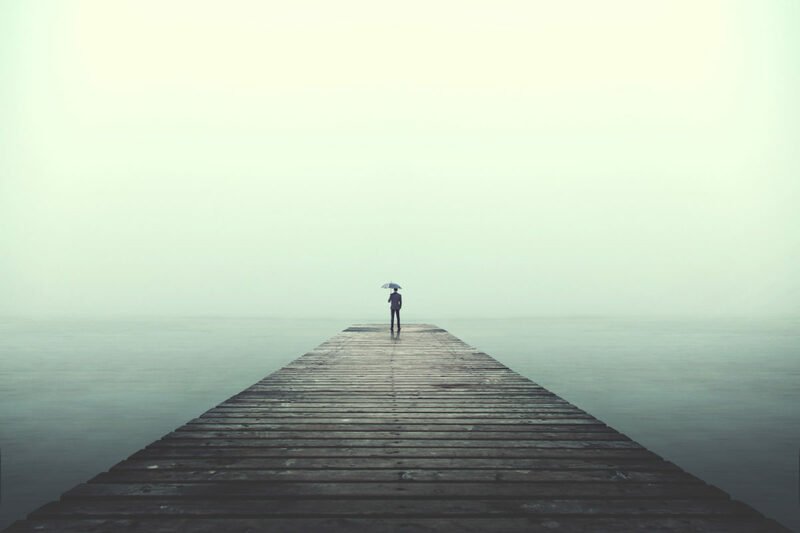 I idetify your observations, and see it in occurring in the lives of young people, the neglect that is, and for adults, including me, lonely feelings can grab you at any time. FEeling Alone, now I really get it. Love your work. Thank you. Poor Robin, he made millions around the world laugh when he was crying inside. He was much loved by all his fans, family and friends but, did he love himself? It’s so incredibly sad to think that he was carrying so much pain. That’s the cruel legacy passed down from our parents. It’s like a lifetime jail sentence because we become our own prisoners. 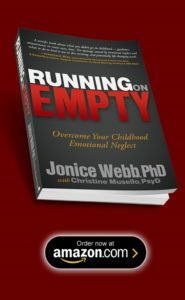 Jonice, once again I thank you for carrying the banner of enlightenment for all of us who are learning to understand what happened to us in childhood and giving us the resources to help us to heal. You are a guardian angel here on earth. Thank you! At autopsy, it was discovered that Robin Williams also had Lewy body dementia. It’s important to remember that this condition likely played a role in his death. This does not discount the impact that childhood issues and other circumstances had on his brain health. A sad loss for us all. There is no doubt that he suffered much.